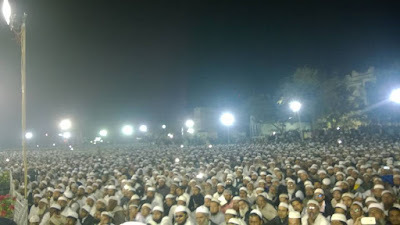 For the first time after 2002, Muslims of Gujarat showed their numbers in Ahmedabad on the occasion of 17th national convention of All India Milli Council. The last time Muslims gathered on such mass scale was when the All-India Muslim Personal Law Board held convention in Ahmedabad in 1992 just ahead of the Babri Masjid demolition. Speaking on the occasion, Muslim political and religious leaders from different parties talked of rise in intolerance and religious hatred are on rise. Also on agenda was Ittehad-e-Millat (Unity of Community). The meeting passed a resolution by raising hands disagreeing with Justice JB Pardiwala of the Gujarat High Court, who had observed and commented on polygamy in Muslim personal law. Muslim. Leaders demanded deletion of his controversial observation in the judgment of Jafer Abbas Merchant. They said, if this is not done, Muslim religious leaders would start a movement against him. Justice Partidwala’s remarks came in his judgment on a petition by Jafer Abbas Marchant seeking to quash an FIR by his wife who had alleged that he had married another woman without his consent. Justice Partdiwala said in his observation on November 6 that the Quran was being “misinterpreted” by Muslim men to have more than one wife, and the provision of polygamy was being misused by them for "selfish reasons". Calling for the abolition of polygamy in Muslim society in India as it was "heinously patriarchal", he stated that time has come for the country to embrace the uniform civil code as such provisions are in violation of the Constitution. He said this while pronouncing the order related to section 494 of IPC, which deals with punishment for having more than one wife. Earlier, Justice Pardiwala had said, while hearing the Patidar leader Hardik Patel’s case, that “ corruption and reservation destroyed the progress of country.” Later, he withdrawn his remarks after 58 MPs filed a notice in the Rajya Sabha for his impeachment. Abu Asim Azmi ,Maharashtra Samajwadi Party President, told the meeting, “I still remember the cruelties of police in Mumbai riot after Babri Masjid demolition. I can realize your pain, as you are living under the shadow of a fascist power since 2002.” He appealed to people to unite against political fascism and intolerance. “Muslims should united to gain political power”, he added. Scholar Dr Manzoor Alam said, “We will not agree to any interference in Muslim personal law.” Former deputy speaker K Rahman said, “We should understand the policy of RSS to divide Muslims among Shias, Sunnis, Barelvis, Devbandis etc., sought to be done by BJP leader Subramanium Swami. To unite the community is not a single day process, it’s a continuous 365 day process." 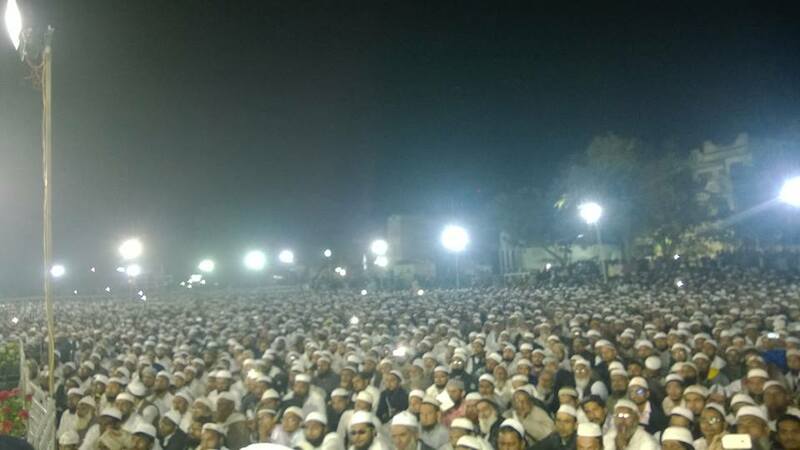 About one lakh Muslims had gathered at Morarji Chowk, Bapunagar in Ahmedabad from all over Gujarat. About 2,000 delegates came from other states. Irshad Mirza , secretary, All-India Congress Committee and core member of the Rahul Gandhi team, was the chief guest. He is considered as chief opponent of Ahmed Patel, Sonia Gandhi’s political advisor, who was not present. Also not present was Congress’ national president of Minority Cell, Congress, Khursheed Saiyed.